The San Marino High School varsity boys’ golf team is on a mission to end its 14-year drought and win the Rio League title this season. 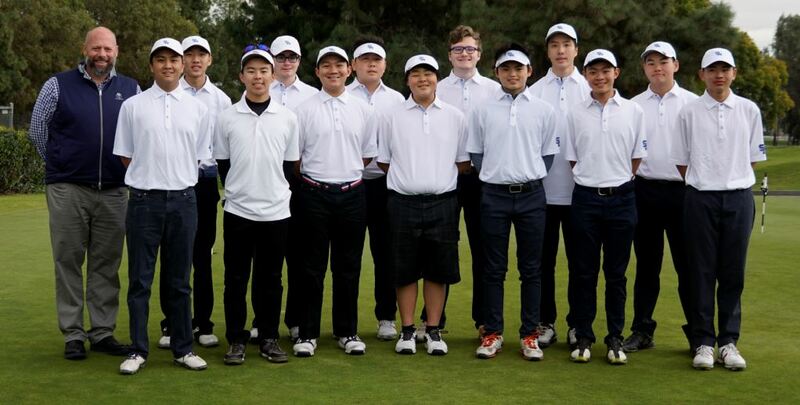 The squad includes Aaron Im (front row, from left), Adrian Chiu, Alec Cabalinan, Ryan Ko, Taylor Suetsugu, Leo Ke and Jia Hu. Back: Head coach Matt Jiggins, Elvin Syiau, Thomas Agajanian, Dawson Yang, Andrew Cronk, Tony Chen and Alex Chuang. The Rio Hondo League has been dominated by one program for more than a decade and the San Marino High School varsity boys’ golf team is determined to put an end to that. The Titans have shown potential during the preseason with a mixture of young talent and seasoned golfers. 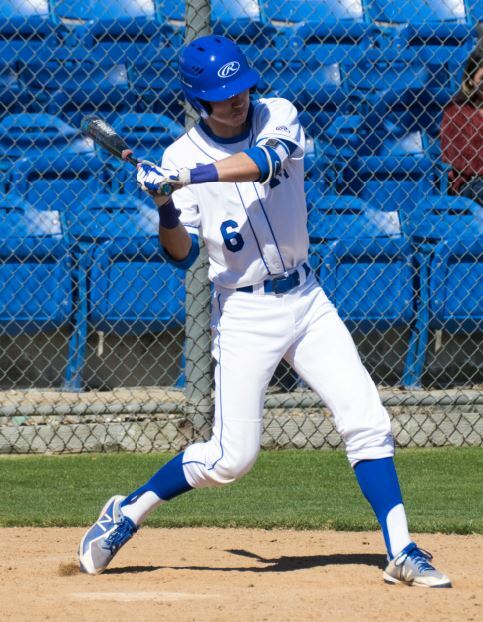 Grant Spitzer hit a double and drove in a run in the Titans’ 4-2 loss against Temple City last Friday. San Marino fell to 1-6 on the season. 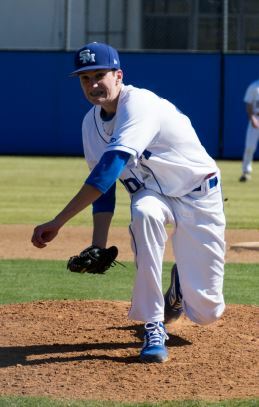 The San Marino High School varsity baseball team squandered a two-run lead and fell to visiting Temple City last Friday, 4-2, in a Rio Hondo League contest. Kate Brunner belted a walk-off, two-run home run in the Titans’ 5-4 victory over the Rams last Friday. 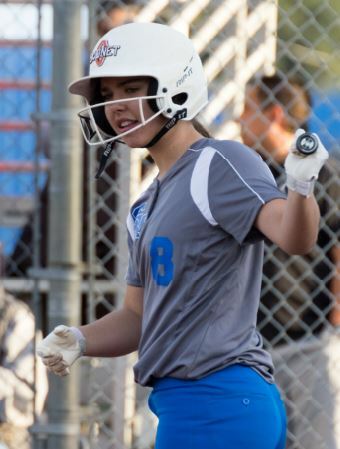 Erin Hill helped the Titans defeat Temple City, Rancho Dominguez and King/Drew last week. San Marino improved to 5-3-1 on the season. 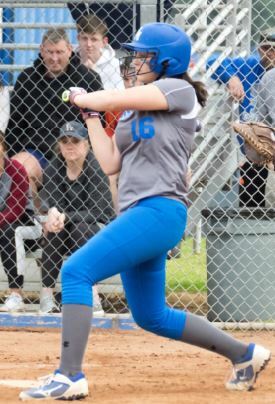 Kate Brunner powered the San Marino High School varsity softball team to a 5-4 victory over visiting Temple City in a Rio Hondo League game last Friday. Sean Richardson singled and stole a base for San Marino in the Titans’ 5-0 loss against La Cañada last Friday. 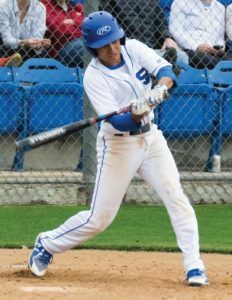 The San Marino High School varsity baseball team dropped its first Rio Hondo League game of the season last Friday, falling to visiting La Cañada, 5-0. The Spartans got on the board in the fifth inning and added three more runs in the top of the seventh to build a five-run advantage. 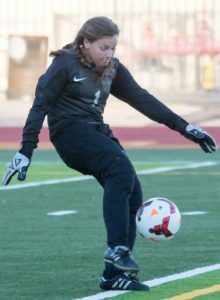 Senior goalkeeper Emily Boutin was named the Rio Hondo League’s most vaulable defensive player. Despite the losses, Dhilan Anvekar was one of the best goalies in the league, earning him the most valuable defensive player award. 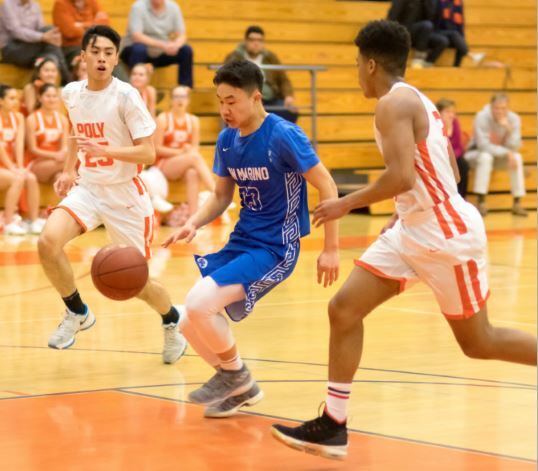 Members of the San Marino High School varsity basketball, soccer and water polo teams recently earned All-Rio Hondo League honors, league officials announced. 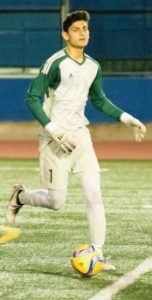 The highest honors went to the SMHS boys’ and girls’ soccer programs. Poly fell to San Marino, 43-30, in a CIF-SS Division 4AA wild card contest last week. Senior Nicholas Tu scored five points in his final game as a Panther. 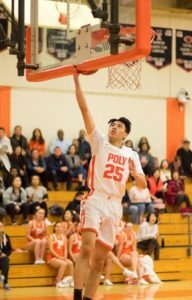 The Polytechnic varsity boys’ basketball team had everything it needed to challenge visiting San Marino in a CIF Southern Section Division 4AA wild card playoff game. 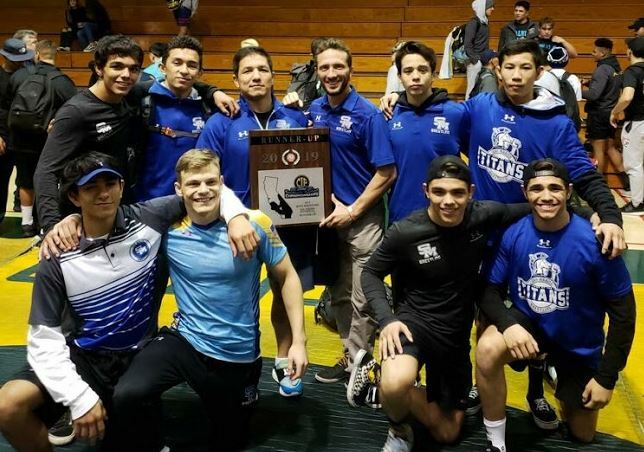 The San Marino High School varsity boys’ wrestling team placed second in the CIF Southern Section Southern Division Wrestling Championships last Saturday. Koa Ruiz, Luka Wick, Kurt Trumbull, Caleb Trumbull, Beau Perez, Raul Jimenez, Josh Trumbull and Devyn Che qualified for the Masters Meet. The San Marino High School varsity boys’ wrestling team recently proved it is no longer in rebuilding mode after claiming its first Rio Hondo League crown since 2016, and the program reestablished itself as one of the best in the CIF Southern Section last weekend by placing second in the Southern Division Wrestling Championships at Brea Olinda High School. Ethan Deng scored a game-high 18 points and led the Titans to a 43-40 victory over Pasadena Poly in a wild card game last week. The San Marino High School varsity boys’ basketball team’s playoff run came to end in last Friday as the Titans fell to No. 5-seeded host Hacienda Heights Wilson, 73-58, in a CIF Southern Section Division 4AA first-round game. The Wildcats (22-7 overall record) jumped out to an 18-2 lead in the first quarter and built a 44-21 advantage at the half. The San Marino High School football team turned in another memorable season under the guidance of Mike Hobbie with a Rio Hondo League championship and a CIF Southern Section quarterfinals appearance last fall.